Topic: Do his ears need to be taped? Re: Do his ears need to be taped? PS: my male got his crop at 5.5 mo old,and came out perfect. Know many AKC-UKC breeders that has done crops wayyy later as well,you just have to know the aftercare.. I could take 10# off of him. Nothing specific, whatever comes, comes,whatever doesn't, doesn't. Not in a hurry, want to enjoy the time with my dogs. Topic: When did weight pull with bull breeds catch on? Re: When did weight pull with bull breeds catch on? Topic: Getting involved and suitability? Re: Getting involved and suitability? I think the best way to pick, is to go and see events first! And then pick by affordability(traning facility etc), and then just DO IT! There are sports/activities that doesn't require a training facility, or teachers, you can do it on your own. So no matter where you live. Topic: Great deal on antlers!!! 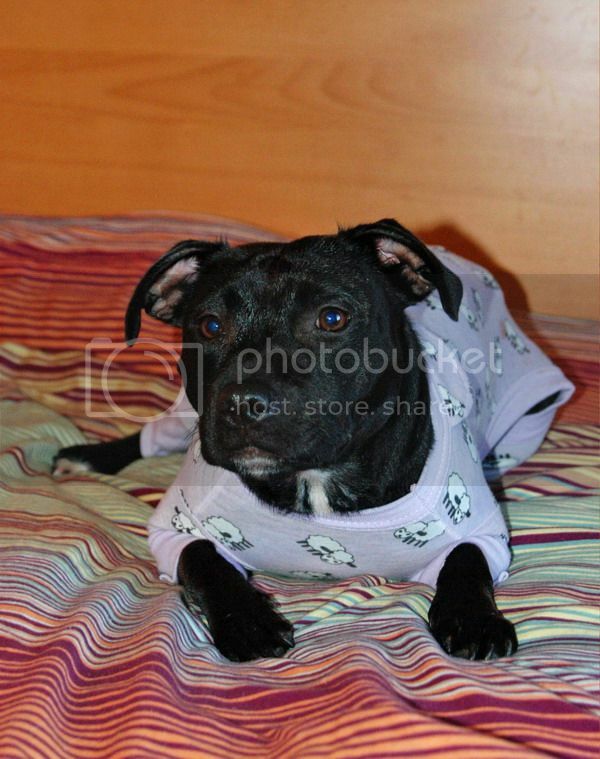 This is Mimi's...I only got it for my own amusement,cause I tought she would look freakin' cute in it!!! ( and I was right!! ).But need to get her a new one for this winter, cause it's getting tight on her muscles. Did you try to msg her on FB? Hopefully nothings wrong with her!!!!!!! I could totally see myself falling in the middle of a run. In the middle??? Me probably at the first step!!! Topic: Injuries sustained from weight pulling? Re: Injuries sustained from weight pulling?